The U.S. atomic bombings of Hiroshima and Nagasaki are extensively taught at schools in Japan and abroad, but many rarely have a chance to hear survivors’ stories firsthand — what civilians saw, smelled and felt under the mushroom clouds. 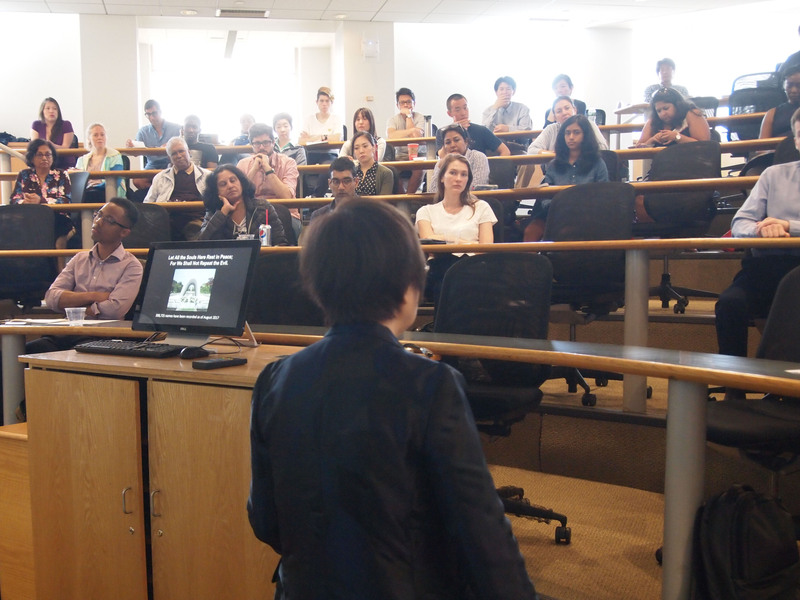 Hoping to pass on such detailed personal experiences to potential future leaders in the U.S. and other countries, Hiroshima hibakusha Keiko Ogura, 80, traveled to Boston in late May and shared her experience in English with around 120 students at leading universities — Harvard University, the Massachusetts Institute of Technology and Tufts University. 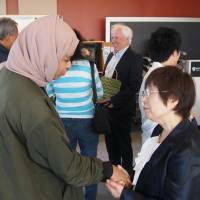 Ogura said she wanted to share her story with those who have business or political leadership aspirations to help increase their awareness of the gravity of nuclear weapons. 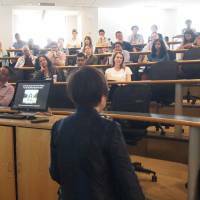 The event, composed of five sessions, was organized by Japanese students in Boston hoping to provide American and international students a chance to hear a hibakusha story. After each session, many came up to Ogura to hear more about her personal experiences. 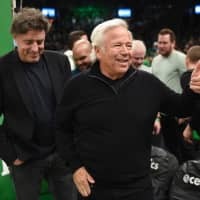 “For many, it was their first time hearing the survivors’ story firsthand. They knew the history of the bombings, but they didn’t know what ordinary citizens like me went through — how we feared and suffered,” she said. Ogura, who regularly recounts her experiences with foreign tourists in Hiroshima, was 8 when the atomic bomb was dropped on the city on August 6, 1945. She was near her home, located about 2.4 km from the hypocenter, when she saw a flash and was knocked to the ground by a huge blast. She saw people walking on the streets with burns all over their bodies and peeled skin hanging from the tips of their fingers. People begged her for water. But some of them died before her eyes soon after drinking it. Many hibakusha remained tight-lipped about the horror they witnessed. Some even hid the fact they were A-bomb survivors, fearing discrimination, Ogura said. 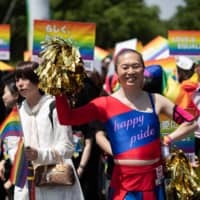 In fact, it took 70 years for Ogura’s former elementary school classmates to finally open up and share their personal experiences with each other, she added. 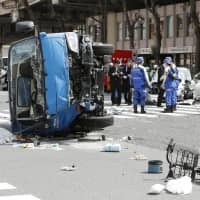 “I was stunned to finally learn what they had endured, such as how they got burned, injured and went through many other struggles,” Ogura said. 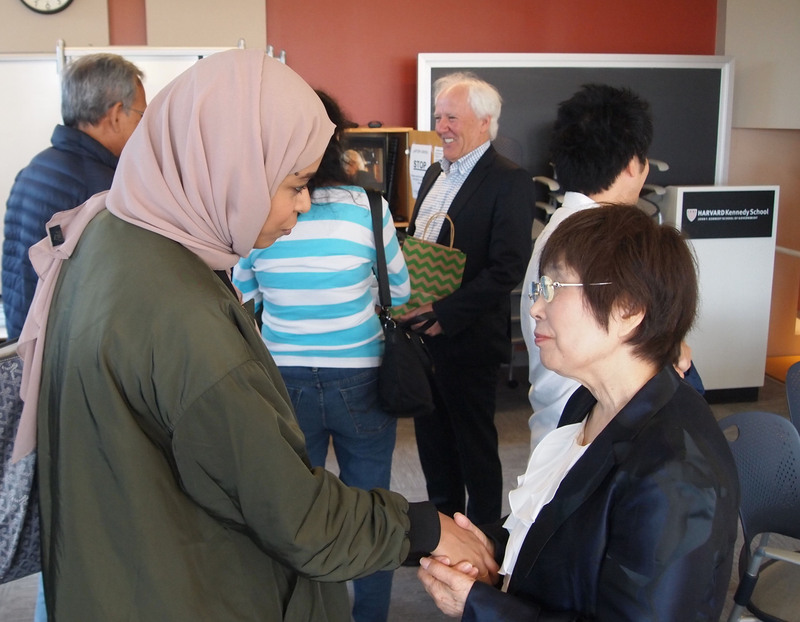 Participants in Boston who responded to a questionnaire after the events said hearing Ogura’s personal account helped them to emotionally connect with the experiences of hibakusha and made them even more aware of the consequences of nuclear weapons. “I definitely learned more about that day, particularly in terms of imagining it happening from an individual, on-the-ground perspective, thinking through little details, getting some small sense of how it might feel to be there,” one student wrote. “The session allowed me to humanize a ‘topic’ and understand the real life and current implications of war games,” another participant wrote. Noting the declining number of survivors who can share their personal stories, Ogura said she wants young people who heard hibakusha’s stories to reflect on what they can do to prevent a similar tragedy from happening again.